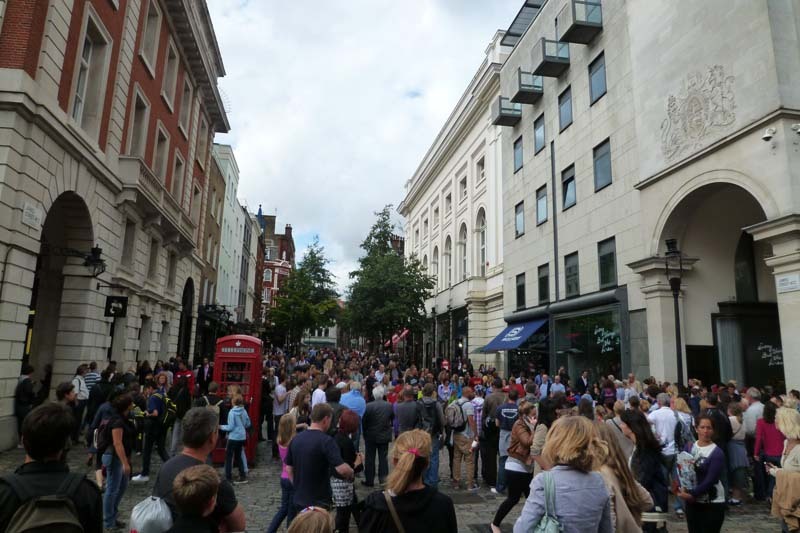 Following the first London meetup (which was a great success – See the pictures and my afterthought if you haven’t), many UK readers asked if I’m going to have another meetup while I’m still in London. It seems that many were unable to make it for the first one as they did not have enough time to plan it in their schedule, while others only knew about it after the meetup, which was already too late by then! My original plan was to arrange a second London readers meetup before I leave London (for US) in early 2012 (since I can only stay here for 6 months without a visa). But given the recent invitation to speak at Wharton (come 11 November – Wharton is in Philadelphia), I thought – Hey, since I’ll already be in US, might as well start my US travels prematurely and see where things go from there! So hello to all US readers! 😀 My current plan is this – I’ll definitely be going to Philadelphia, Washington DC and New York, and may be traveling from east coast to west coast during the 3 months there. This also means I’ll be leaving London come Nov, so it’s definitely time to call for a second (and last – at least for now) Personal Excellence readers meetup before I leave. As of now I have a return ticket booked from US to London on Feb ’12, though I’m not sure if I’ll be flying back or not. I’m playing by the ear and seeing where the US trip takes me – just as what I’ve been doing for the whole trip so far. My tentative plan is to have the meetup on 29 Oct (Sat), at central London, sometime in the afternoon. If you’re interested to attend, please let me know by replying in the comments area before 15 Oct (Sat). The meetup will only proceed if we have enough attendees (10 and above). I will confirm go/no-go decision on the meetup by 16 Oct, based on responses. For those who have attended the first meetup, you’re very much welcome to attend the second one too! The first being I’m not sure if I’ll be returning to London; and even if I do I may not arrange for a meetup again. The second being it’s a great chance to meet other like-minded, Personal Excellence readers – I’m sure we’re going to have a lot of new faces for the upcoming meetup. Some of the readers who attended the first meetup exchanged contacts and continued to stay in touch even after that, which I thought was a great touch! Thanks, and look forward to your responses! Like I said, I don’t know if I’ll be back in UK or not in the near future, so I really hope all of you can make it there. I’ve been frequenting Tibits during my London stay and I love the food there. It’s buffet-style, where you take whatever food you want (includes appetizer, main course, and dessert) and they charge you by weight. It’s great in that you only pay for what you eat. Prices are very reasonable too, and customer service has been great (save for a 1-off, not so pleasant encounter I had with one of the cashiers). Format will be the same as our first meetup – casual chatting and getting to know each other. It is completely open – there is no fixed agenda whatsoever. I foresee us hanging out and talking over some nice food, and you are free to leave whenever you want to. For our first meetup, we gathered at about 3:30pm, and hung out all the way till almost 7pm! If you’re interested to attend, please kindly let me know via the comments area. It’ll be good to know who is attending vs. having surprise guests. For those who have registered, I look forward to seeing you there. Update: The London meetup is over. Check out the pictures and afterthought!